Capital One credit cards are known for their "no hassle" rewards programs and low or no card fees. 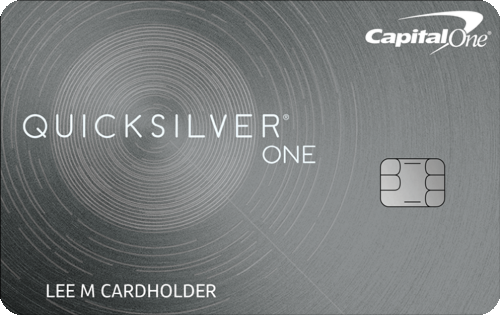 The Capital One® QuicksilverOne® Cash Rewards Credit Card is a great example, providing a flat rate cash back card with a low annual fee. Earn unlimited 1.5% cash back on all purchases made with the card. There is no limit to the amount of cash back you can earn and rewards do not expire for the life of the account. You can redeem your cash back as a statement credit or a check. There is also an option to set up automatic redemption according to a set time each calendar year, or when you reach a specific threshold. Rewards can also be redeemed for gift cards. Platinum Mastercard benefits. Includes benefits powered by Mastercard. Some of these benefits include extended warranty for purchases made with your card, travel assistance, and price protection which reimburses you if a purchase you've made is found within 60 days for a lower price. Credit limit increase. You can qualify for a credit limit increase if you make your first five monthly payments on time. 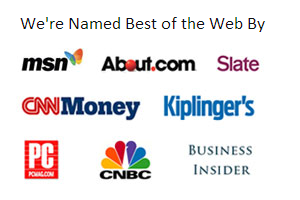 No categories. One of the best features of this card, especially when compared to other rewards credit cards, is the ability to earn cash back on all purchases, any time of the year. Some cash back cards allow you to earn bonus awards on specific purchases or in categories that you need to enroll in every three months. This rewards program allows you to earn cash back without the complications of select or rotating bonus categories. Annual fee. Although the annual fee of $39 is lower than annual fees on other cards, there are cash back cards which either do not charge an annual fee or, in exchange for an annual fee, provide bonuses or perks which help mitigate the fee. High APR. The APR is one of the highest APRs offered by credit cards. High APRs are less of an issue if you are diligent in paying your balance in full each month during your grace period, in order to avoid paying interest on your purchases. If, however, you carry a balance from month to month, the high APR is going to cancel any cash back earned and cost you more. In this case, it is best to instead choose credit cards with low APRs, which often do not include rewards programs. This card is best for those with average credit who may not qualify for other cash back credit cards. It offers a flat rate cash back reward on all purchases without any limitations. This card is also ideal for those who travel outside of the U.S. because there is no foreign transaction fee. In order for you to get the most from this card for your money, it is imperative that you not only pay your balances in full every month, but also spend enough per year to earn enough rewards to at least cover the cost of the annual fee.